When Nico Rosberg retired right after winning the 2016 Formula One title, his Mercedes F1 team was left with a seat to fill—fast. So, they plucked Valtteri Bottas from Williams and signed him for a year. It made sense, given that it was a quick decision on a driver who hadn’t proven himself in the Mercedes car yet. But they did it again. Yes, again. 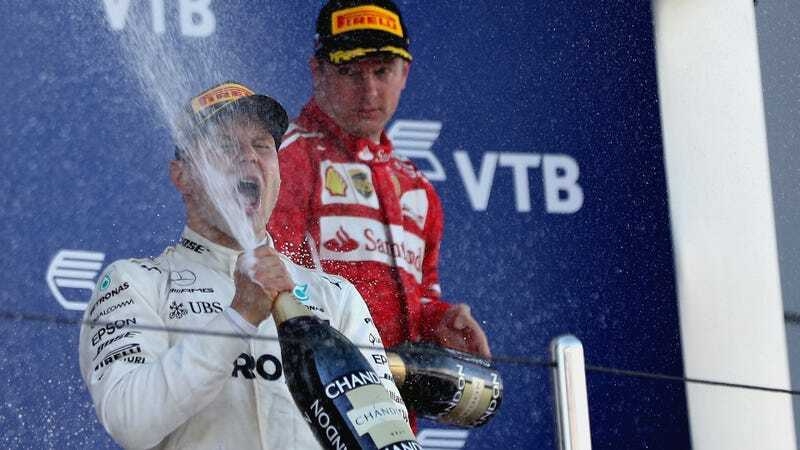 Bottas has had 13 races in the car, won two of them and been on the podium in nine. Mercedes announced the contract as a “new deal ... for the 2018 Formula 1 season,” which makes it pretty obvious that it’s only good through next year. Team boss Toto Wolff called a contract with Bottas for at least one more year a “no brainer” in July, but wanted to look at the opportunities in 2019 and 2020. After all, Mercedes and Ferrari are by far the top teams in F1. Both can have anyone they want, almost. But, hey, Bottas is happy with the extension. He said in the announcement that the team “took a leap of faith” by putting him in the car this year, and that the “sky is the limit” next season. Hopefully the team’s stopped calling him Nico by now, too.